Allah Almighty says in the Noble Quran: “Worship Allah and join none with Him in worship, and do good to parents” (Quran, 4:36). Parents are the ones who have been with us through almost everything in our lives that’s why we should be devoted to them. 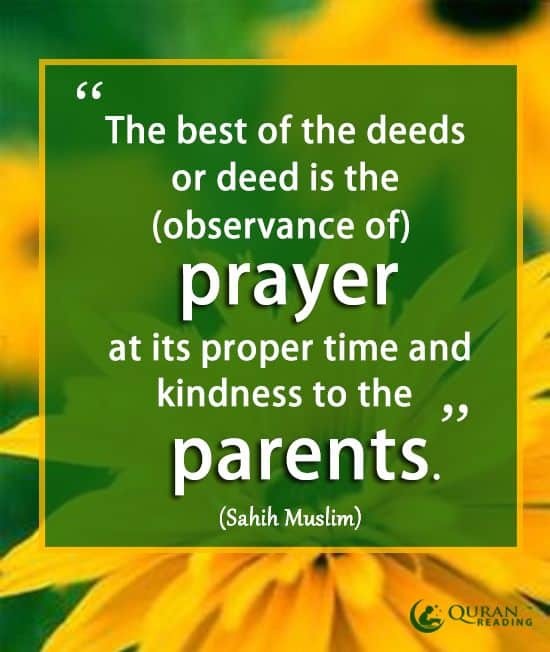 Respecting parents is one of the most significant aspects of Islam. The above-mentioned verse of Holy Quran cleared that no word of disrespect should be uttered toward parents. Honoring parents can be considered a form of worship if the intention is to please Almighty Allah by respecting His commands. Allah (SWT) advised us to show kindness, respect, and humility to our parents.